On Tuesday evening I had the last lecture of my 5-day intensive class ’How to write tv series’ at a studio here in Stockholm. For the last session I bring in a guest teacher, and on Tuesday I had the great opportunity to have a talk with LA writer and director Bob Dolman who is visiting Sweden. Bob has won 2 Emmys, and worked with directors and producers like Ron Howard and George Lucas. We had a lovely conversation with the students about creativity, and the art of writing. For quite some time now I have been longing to get some time off to get refueled. I have had this feeling that I have a draught in my well of creativity. On Tuesday night one of the students asked Bob and me a question about when and how we know that our story is ready to be pitched. We talked a bit about it, and then Bob gave the student a perfect answer. ’When you feel that you have reached a point where you feel like you have authority of the story’. I loved the idea of the author having the authority of the story. It says a lot. It not only means that you know the story well enough, you also know what it is not. But most of all it has by then turned into your story. From an idea to a story no one else can write. As a side note I just simply fell in love with the term, and thinks it translates amazingly well to one’s life as well; do you feel you have authority of your life? On Wednesday magic happened. I got an email that a script that I was scheduled to script consult on had been delayed for a few days, so out of the blue I got an opening in my schedule. After having talked to Mhairi about wanting some time to breathe, and to Bob about the importance of seeking out whatever draws your attention, and to indulge in creative exploration – I took the chance. I spent the whole of Wednesday just having fun. I had a lovely lunch with a colleague, spent hours at an art museum getting truly moved to the point of tears, had a glass of wine, some coffees and just spent time jolting down random stuff in a notebook. And then when I was on the bike on my way home, an idea took shape. Piece by piece fell into place. Magic. Pure magic. No question about it, it’s my story. I have the authority of it. No one else will be able to write it. It’s a piece I’ve been longing to write for some time, but I didn’t knew I had it. Until now. As Bob and I talked about, good things should not be rushed, so I will let the idea simmer. Let it grow at it’s own pace. It’s too good to push. So right now, I will just have faith, that if I water this idea well enough it will grow into this beautiful story I know it can be. And that’s all for now. 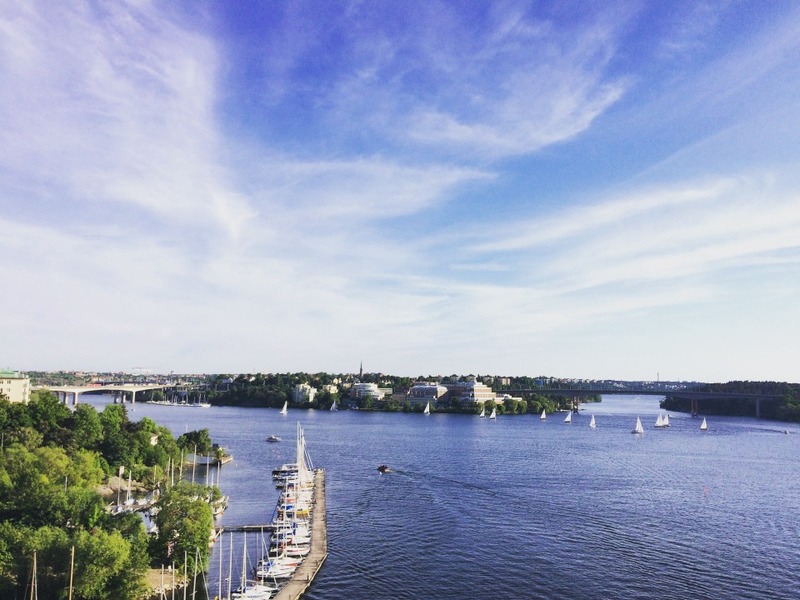 Happy simmering Sunday thoughts from Stockholm!